hd00:20LAKE BUNYONYI, UGANDA - OCTOBER 21: Batwa pygmies dancing on October 21, 2012 at Lake Bunyonyi, Uganda. Pygmy people are ancient dwellers in the forests, they were known as The Keepers of the Forest. 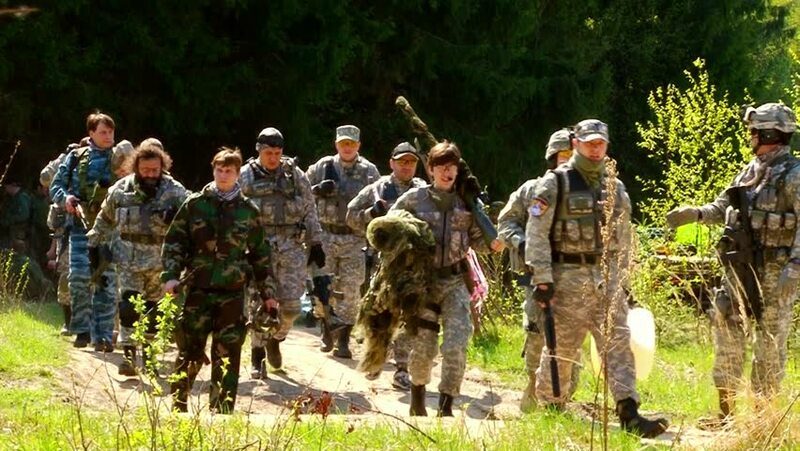 hd00:13Moscow, Russia - May 09, 2013: Players of airsoft run through the woods Sports team game using a copy of a firearm. People in military uniforms with weapons at the exercises.